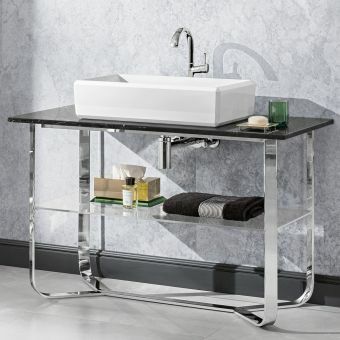 Adding a look that is both fresh and homely is a trait desirable in many ranges the Old London line of furniture is one of the few that actually delivers on its promise. 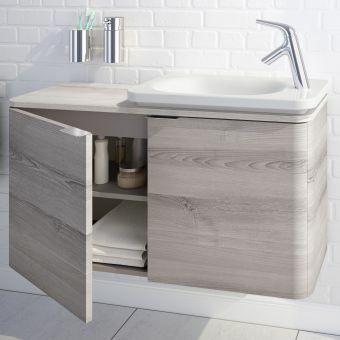 Combining elements of both traditional design and contemporary materials, the Old London 2 Door Unit is an attractive and logical starting point around which to create a vanity unit. 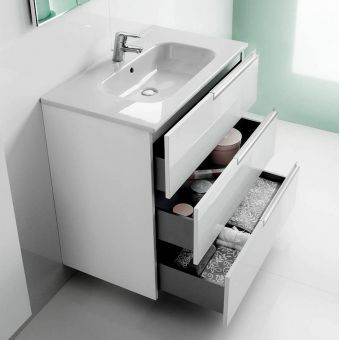 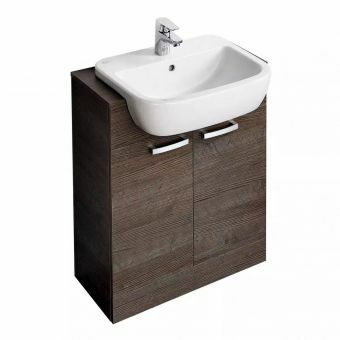 With its surface-mounted basin in two widths, 600 or 800mm, and under counter storage area, it packs convenience and functionality into a slim but stylish frame. 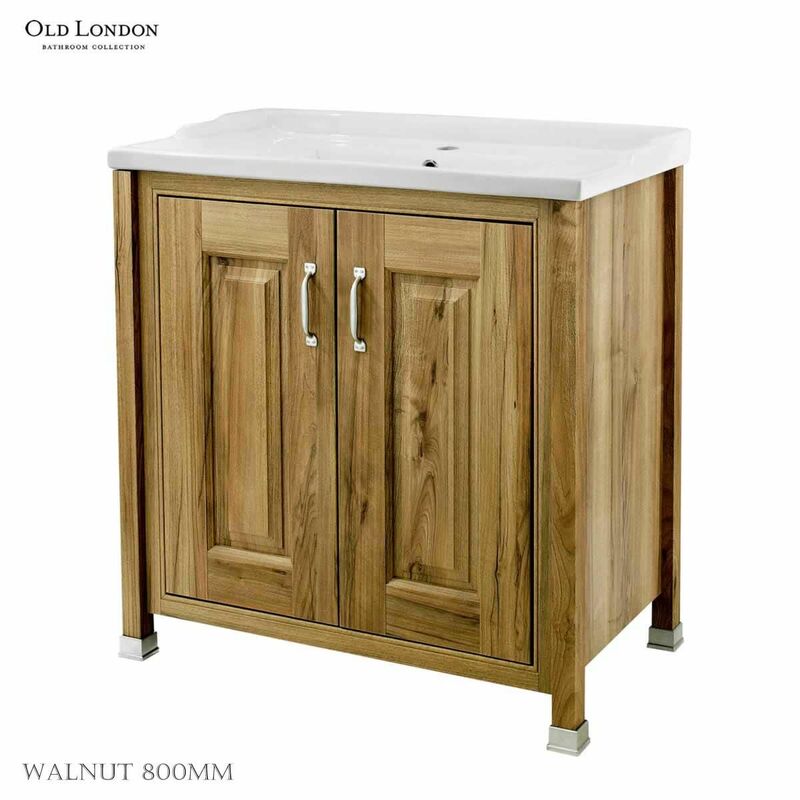 This cabinet is raised on matching chrome feet to finish the look, while a range of four different colour schemes of Ivory, Pistachio, Grey Stone or Natural Walnut give plenty of scope to tailor the look to your own needs. 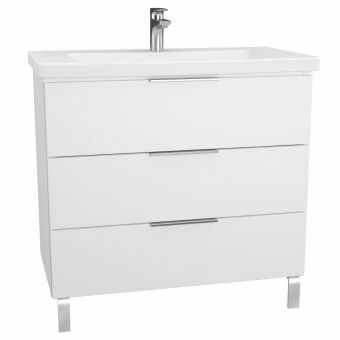 This unit comes with a single tap hole and overflow as standard. 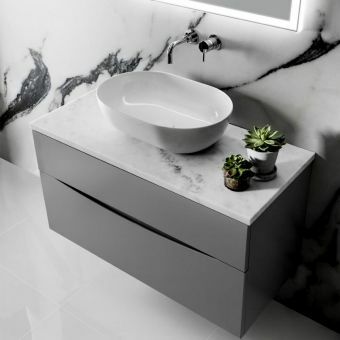 Please see our full range of basin mixers for complementary pieces.